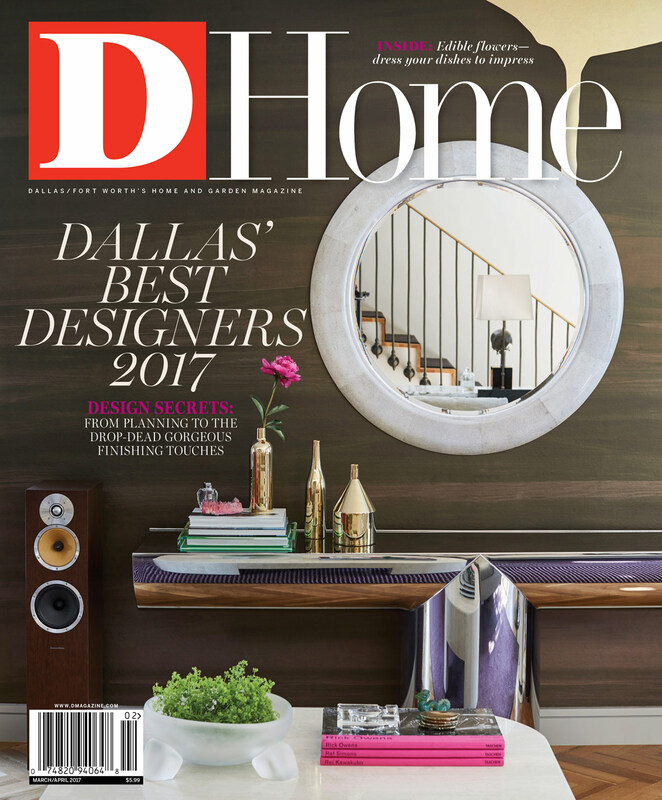 By D Home Editors | 2 years ago From furniture placement to ceiling aesthetics, take it from the pros. By Rob Brinkley | 2 years ago Don’t let the classic facade fool you. Benji and Wren Homsey's updated Colonial offers a provocative interior. By Connie Dufner | 2 years ago The style maven and designer James McInroe teamed up to craft interiors that celebrate art and fashion. By D Home | 2 years ago These 107 professionals are the best in the business. By D Home Staff | 2 years ago A little drizzle isn't going to dampen your style. By D Home | 2 years ago You'll do a double take at this trio of cool and unusual looks. By D Home | 2 years ago Enhance your space with a rainbow of hues. By Jessica Elliott | 2 years ago Metalsmith Corie Humble is shifting the traditional aesthetic with geometric shapes. By Sarah Bennett | 2 years ago The Sevy's Grill owner has a collection of more than 1,500. She shares what they've taught her in and outside the kitchen. By Sarah Bennett | 2 years ago These new releases are a treat for both the eyes and taste buds. By Catherine Downes | 2 years ago Impress guests by adding some seasonal color of the culinary variety. By D Home | 2 years ago Express yourself in pieces with painterly inspiration. By D Home | 2 years ago From pillows to pork, the illustrious insect is inspiring homes this spring.